Want to play a game that combines the concepts of Crossy Road and the Grand Theft Auto series, but is more casual like the first game, while being less intense and detailed unlike the second? 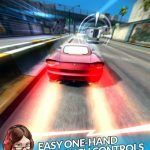 We’ve covered games like this in the past, but the latest such title is called Crazy Cars Chase, which was developed by Touchten. 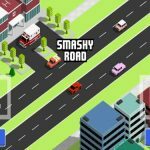 The game offers you the chance to drive more than 30 different types of vehicles as you drive away, not only from the police and the armed forces, but also from ambulances! Pretty much, everything with a siren (plus military vehicles such as tanks) is out to get you, but while evading these in-game enemies, you’ll also be getting a tour around the city of Jakarta, Indonesia, discovering landmarks as you try to stay away from the law. It could be fun trying to drive away from law enforcement, the military, and other do-gooding entities out there, but it can also be frustrating if they always get you in the end after a rather quick chase. So if you want those chases to last longer as you score more points, we advise you to check out set of Crazy Cars Chase tips, tricks and cheats. Stars are the game’s equivalent of points, and you can earn more of them by running away from the law for a longer period of time. And as you earn more stars, things are also going to heat up in terms of the vehicles chasing you. It won’t just be cop cars on your tail, but also vans, tanks, and at some point, helicopters – yes, it’s just like a GTA chase once you’ve reached the five-star level in those games. But things do get wacky (and tense, if you’re trying to earn more stars) when the gods get involved and start throwing lightning bolts your way once you’re past seven stars! Keep that chase going for as long as you could and you’ll earn more stars; just be prepared for things to get wilder…and more difficult. The basic premise in gaining more stars is to break the law while driving, but if you want to quickly add up to your star count, you should focus on destroying cop cars, or making them crash into each other. As cops tend to chase you in one straight line, you can make a sharp turn around a bend, which would cause the police vehicles to crash into one another, with the pile-up getting bigger as the turns get tighter. This is a great way to get your wanted level up, thereby enjoying more success in the game. Want another neat way to make cop cars crash into each other? Try losing them by driving quickly in between buildings. Again, the larger the group that’s chasing you, the larger the potential pile-up, and the more stars you can receive. 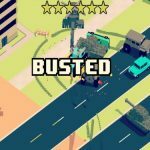 In fact, you may even be capable of causing an epic pile-up and a good number of cop cars destroyed if you combine the above tactic of turning sharply with this tactic of slipping in between two buildings. Causing multi-cop car pile-ups is not the only way to destroy their rides. You can also get rid of a host of cop cars when you’re near a body of water, simply by doing one of those sharp, tight turns so you barely avoid hitting the water. As the cops aren’t too smart, they’ll drive straight off into the water, effectively killing them and wasting their vehicle. 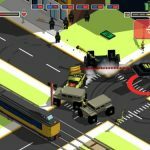 If you aren’t getting any opportunities to make sharp turns, or if that tactic hasn’t yielded much success for you, you can try destroying cop cars the old-fashioned way – by battering them with your car, provided you’ve still got enough health remaining. The cop cars will always come back, but that should be a good thing, as more vehicles means more opportunities to add to your stars. Last, but not least, let’s talk about your forms of currency in the game – coins are the common currency, while katopoins are the premium currency. Coins will allow you to buy new cars, so you should concentrate on getting your stars up if you want more coins and more cars to add to your collection. And unless you live in Japan, you might not want to bother with the katopoins, as they’re there to let you accept special offers in real life, provided there are some close to where you live. There should be some non-Japanese offers arriving in the future, though.